The bestselling rugby title of 2012 and 2013 covers every tour in the Lions 125 year history, including the victorious 2013 tour. This is the history of the British & Irish Lions… in their own words. 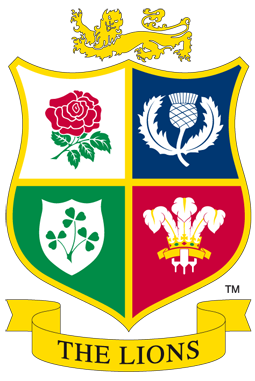 For 125 years the British & Irish Lions have stood out as a symbol of the ethics, values and romance at the heart of rugby union. To represent the Lions is the pinnacle for every international player in Britain and Ireland, and the dream of tens of thousands of avid fans who follow them. A Lions tour, undertaken every four years to the southern hemisphere, is more than a series of rugby matches played out on foreign fields; it is an epic crusade where the chosen few face a succession of mental and physical challenges on their way to the Test arena, where they do battle with the superpowers of the world game. Behind the Lions sees six esteemed rugby writers delve to the very heart of what it means to be a Lion, using diaries and letters from those who pioneered the concept, to interviews with a vast array of players who have followed in their footsteps. In so doing they have uncovered the passion, pride and honour experienced when taking up the unique challenge of a Lions tour. This is a tale of heart-break and ecstasy, humour and poignancy that is at once inspirational, moving and utterly compelling. And it is the only story worth hearing: the players’ own.